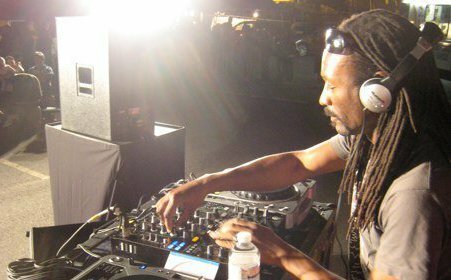 Gene King, a world renowned DJ, music producer, re-mixer and CEO of Shines Records, has been a mainstay in house music for over twenty years. His family are originally from St. Vincent and the Grenadines, but Gene was born and raised in Montreal where he listened to a lot of music. Tantra Zawadi caught up with Gene King and below is the little talk they had. AF: Gene, what kind of music did you listen to when you were growing up? What were your influences? GK: Wow! There is too much music and too many bands, musicians and producers for me to mention or to think of spur of the moment. I listened to a lot of my parents’ music when I was a boy; everything that they were into: West Indian music like Calypso (this was before Soca), Reggae, Latin and African music, Spouge (a groove from the island of Barbados that’s related to Calypso with a funk edge to it), and a lot of the soul and pop music that they were into at the time. As an adult, now I actually appreciate the music they grew up with in the 50’s (laughter)! I hated it when I was a kid. Through my dad and my older cousins, I discovered a lot of the soul, funk and R&B stuff that was out there and that taste evolved into the music I listened to during the disco era. My influences are from generations of musicians, bands and producers from the 70’s, 80’s, and 90’s. People like: Billy Preston, Stevie Wonder, Quincy Jones, Eumir Deodato, Ramsey Lewis, Herbie Hancock, Roger Troutman, Norman Whitfield, Larry Graham, Greg Rolie, Kenneth Gamble and Leon Huff, the Jackson Family, Marvin Gaye circa 1970-1976 and King Curtis. Later, I discovered Jimmy Smith, Byron Lee and his excellent musicians, Frankie Mcintosh, Giorgio Moroder, Kraftwerk, George Clinton, James Brown circa 1968-1976, The JB’s, Fatback Band, War, Osibisa, Manu Dibango, Nick Martinelli, Jaques Fred Petrus and Mauro Malavasi, Jellybean Benitez (who is the guy that inspired me to get into producing being a DJ himself and becoming a superstar re-mixer/producer in the 80’s), as well as Arthur Baker and Robert Ouimet of Montreal. Honestly, there is so much music that has passed through me, it is impossible to name everything and everyone. But all of these people and more have influenced me musically throughout my life. My parents have been an influence on my life in general aside from musical influences. AF: Given Gene’s longevity in the house music industry, I was curious about his thoughts on house music in the 21st century. GK: That can be taken many different ways. In the 21st century, I really like the digital age for its conveniences in making the world smaller, but I think we as artists, producers and label owners are paying a price for that. Many studios, record stores, distributors and labels have closed in a short space of time, and there is no quality control anymore. Technology is great, but it has its downside. These things really hurt sales, and yes some people don’t seem to think so or understand how important circulating money is, but this is the reality whether you like it or not, or whether you disagree with me or not. I definitely miss the days of manufacturing hard product that people would pay money for instead of a virtual piece of information that can be copied, shared, pirated, altered and deleted in a split second. I really don’t know what’s in the future and to be honest I think I am glad that I don’t know. I’ll just keep making my music as long as I am able on my own terms and my own way because now, that’s all we really have isn’t it? That is, until we start getting some big money marketing in this sub-genre. As for sub-genres, house music in the 21st century has become confusing. I am still trying to make sense out of it. There are now so many sub-genres that it’s become more segregated and cut into little pieces; so depending on what style of house music you are talking about, I can see certain genres evolving into something big and others falling into oblivion to be forgotten in the years to come. Business-wise, I am hoping that we can find ways to actually make money again to keep it going. AF: There is a huge presence from South Africa in “house” (artists, producers and record labels). What is your take on the South African influence? GK: It’s nice to see that there is a scene, and from what I understand, is larger than life in Africa right now. Hopefully the trend will go all over the world and bring it back to the rest of the global dance world. I love getting messages from people that enjoy what I do and it seems to come from that part of the world mostly. It’s refreshing and also nice to see that a lot of younger people are into the music over there. It’s not really the case in North America at the moment. It’s a relief to me that younger people can feel this music and their support is really keeping it alive. The onslaught of producers and artists coming out of that area is also refreshing. It just makes the music still relevant today. AF: You are a DJ, music producer, CEO of Shines Records and re-mixer. How do you manage and what is it like to run an independent record label. What inspires you? GK: One thing inspires the other. I love playing music for people. I love big sound. I love energy, and I love building a production from the ground up. All of these things inspire me to create music and play music (Djing). The record label thing is just simply an outlet for me to take that to another level. Managing an independent label nowadays is weird compared to the 90’s. The digital age makes a big difference. The great thing about it is that you can release things faster and if you believe in your work or the work that you put out, there are not as many obstacles to putting out your product. That being said, it’s also harder because now there are ten times as many releases daily and it’s hard to make your stuff stand out with a low budget. For the moment, you can only depend on your talent and whatever network you have to expose your product and I am cool with that depending on the talent. That’s what it’s supposed to be about anyway, talent and not politics. AF: What makes you stand out? Tell us about your work ethic and experience. What can listeners expect from a Gene King production? GK: What makes me stand out? Ha! Ha! Ha! I am Gene King and nobody else. I do me, I sound like me, whatever I touch sounds like me, I can only be me and I like being me. Apparently other people like me being me too Ha! Ha! Ha! What can listeners expect? They can expect quality. Quality is important. It might not be your vibe, or it might be something you can’t grasp, but that’s okay. You can’t like everything from one person, but you can be assured that with my productions, vocals will be on key, songs will be structured and there will always be some sense of musicality; whether organic or tech sounding. I can only do what I do and I think it’s solid whether it’s your vibe or not. As for my work ethic, I just let it flow naturally. I let things write themselves. People will believe that more rather than if you try too hard. The trying hard part comes afterwards when you want to polish things up and make it sound right. And I never rush things!!! That’s the most important thing. I’ve been there before and it does not work at all. AF: There are a lot of up and coming house music producers who would love to learn from your experiences. Independent labels, producers and artists are out there who want to create and have their music heard. What advice would you give them? What is the best way for up and coming house music producers to get the attention of a record label like Shines? GK: First of all, always be willing to learn something. Once you stop learning something, then it’s time to quit. We never stop learning. I learn something every single day. That’s the best advice I can give to someone starting out. LEARN and make sure you know what you are doing, do it for the right reasons and never quit if you are serious. People out there will make you want to quit because they are just destructive. So, don’t quit. Things happen eventually. As for getting my attention for the label, show me what you can do and what you have done. Don’t hype me and show me absolutely nothing. I hate that and see too much of that from younger people today. I don’t believe hype because hype has nothing behind it once the smoke clears. Show me what you do and I will listen to you. AF: What are some of the challenges in the house music industry today? What are some of the highpoints? What is your greatest musical accomplishment? GK: I think people who listen to my music will know that more than me (laughter). But off the top, one thing I can think of is doing some remix work for some majors a few year ago as well as releasing something on one of my favourite labels of all time: Freddy Sanon‘s 157 Shelter. That was exciting. Also having a top-ten dance record in Canada in ‘94 was the ultimate accomplishment. I recently saw the video for it on you tube (laughter). AF: What’s next for Gene King? Do you have any upcoming releases in the works? GK: Right now a remix for Serge Negri featuring Tasha Mabry is available on his Bamboo Sounds Label. I did a song with Dovie Cote called “Dance of Life” which will be coming out on Chicago based label Smooth Agent Records. I am also working on remixes for Monocles & Slezz featuring Holi and one with IndySoul featuring Tantra-zawadi & Dana Byrd and another with Italian MC DrFeelx. I am also releasing Wayne Tennant’s next release on Shines called “Heaven” as well as a 2012 digital release of “Changes,” a tune I did with Sacha Williamson on Shelter and a few upcoming gigs of course. AF: How can we learn more about your work and where can we purchase your music? For bookings you can contact Emile Reed, contact@awepromotions.com.